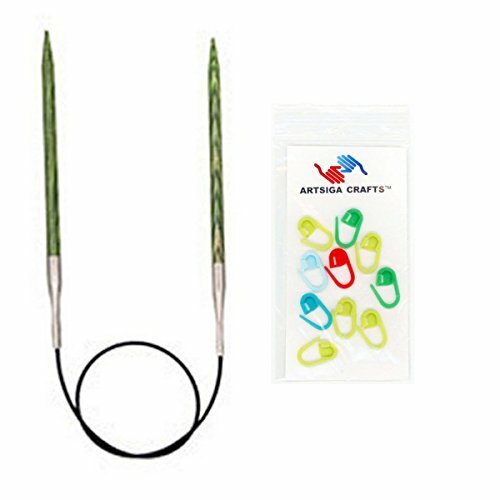 Knitter's Pride Dreamz Circular 47-inch (120cm) Knitting Needles; Size US 9 (5.5mm) Bundle with 10 Artsiga Crafts Stitch Markers 200331 by Knitter's Pride Knitting Needles at Designers Artists. MPN: KPCP200331FREEGIFT. Hurry! Limited time offer. Offer valid only while supplies last. Bundle includes 1 Knitter's Pride Dreamz Circular 47-inch (120cm) Knitting Needles; Size US 9 (5.5mm) with 10 Artsiga Crafts Stitch Markers 200331.